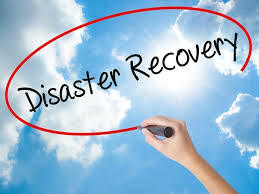 Nor-Tech’s Trailblazing Rapid HPC Cluster Recovery (RCR) Utility for Free On-the-Spot Disaster Recovery. Nor-Tech’s reputation as an innovator is growing rapidly—mainly because our engineers see an industry-wide issue and devote the resources to figure out a solution—innovation is just in our culture. And what has always been more of a problem than technology that goes down and stays down for a long time? Our engineers came up with a way to restore the system on the spot—without having to wait for a technician or even put in a call. We call it Nor-Tech RCR (rapid cluster recovery). And it’s free. Every cluster that Nor-Tech builds is shipped with bare metal backup on a disc (or some other storage media). We keep the master at Nor-Tech. 1. In most cases (depending on the configuration) the backup can be initiated and completed without taking the computer completely offline. This means no disruption to existing work—however the amount of disruption depends on the configuration. Worst case there is a lot less disruption. Recovery takes less than 30 minutes instead of days. The backup process can be done remotely by one of Nor-Tech’s engineers. The backup media can be an external hard drive, local NAS, or remote storage. 2. It is much less expensive and just as reliable as products like Acronis, Carbonite, Backup Exec, Backula, and Redo that are currently on the market. These run into the $1,000s of dollars. Nor-Tech RCR is a free value-add for the clusters we build, but we are also offering it as a standalone product. Contact Nor-Tech to find out more 877-808-1010; email sales@www.nor-tech.com or chat us up on Live Chat https://www.nor-tech.com/solutions/hpc/demo-cluster.